Just follow these 8 steps and your oils will soon be on there way to you! Click at this page and click Join & Save in the upper menu. If you are from Sweden I recommend that you choose language English - Europe. if you live in Sweden choose Europe and Sweden. Choose Wholesale Customer and click Contine. Enter your personal information according to the picture and click My shipping address is the same. If you live in Sweden choose timezone Bryssel. If you want to start with my female embodiment kit or your own choice of oils just type the name or the number (e.g Bergamot #30790805) of the product in the search bar Enter additional item or product name. 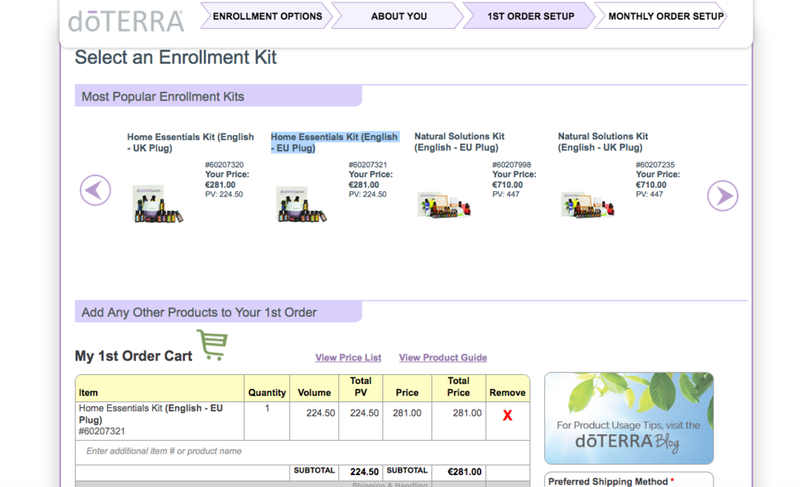 Make sure you remember to add the memership fee doTERRA Essentials Booklet + Enrolment Fee (English) #60208127 so that you will have the 25% discount. Click My billing address is the same. I recommend that you chosse Please save payment information. Click Process order now & continue to come to the payment. 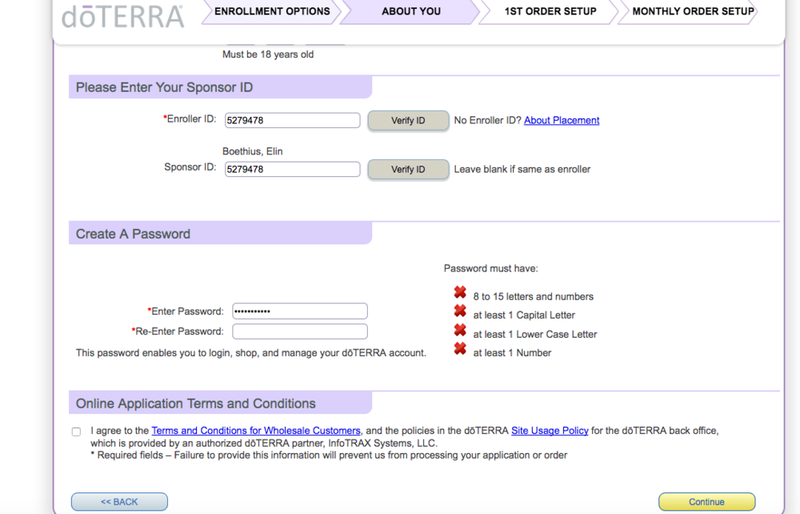 Enter your Credit Card details and click Process Order. When your credit card is accepted you will come to a page with your order confirmation. Next a new window is opening up, just click No, I.
YEY you have now opened your account and your oils will soon be on their way to you!